Since it’s the end of summer, that means it’s time for that wondrous beer season known as “Oktoberfest.” Or at least that’s when every brewery in the world comes out with their fall beer which is usually named “Oktoberfest” or sometimes “Octoberfest.” There’s even Hoptober. Today’s selection, from what I hope will be a long, long train of fall beers, is a traditional Bavarian lager (which I found at Trader Joe’s, of all places.) 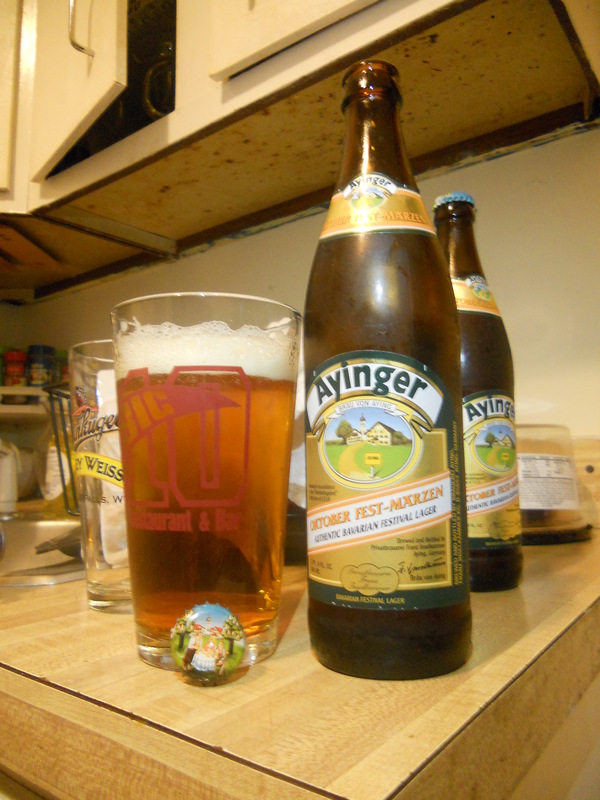 It comes from the Ayinger Brewery, in Aying, Germany (just southeast of Munich, the home of Oktoberfest.) 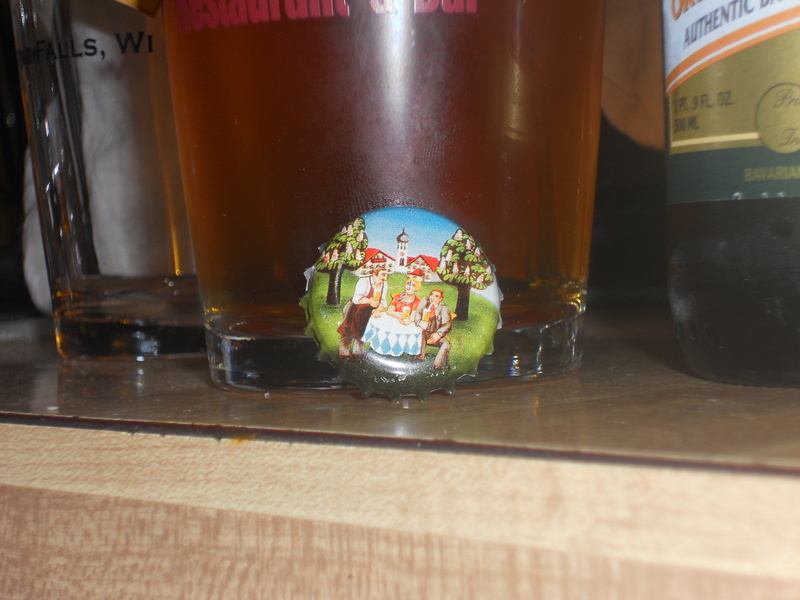 And also, because the bottle caps were so neat, this beer gets TWO pictures! Isn’t that a neat bottle cap? Anyway, on to the review. Style: Marzen/Oktoberfest. These beers are typically full bodied, and have a toasty/roasted taste. They will also have a higher alcohol content than your typical lager. These beers are usually copper to dark golden brown in color, with mild bitterness from the hops. Overall Impression: A. maz. ing. I absolutely loved this definitive Oktoberfest lager. There may be more trips to Trader Joe’s in the future just to get it. If you can find this, GET IT! Appearance: Coppery color, great head retention. Smell: Mild hop notes with also hints of malt. Taste: The hops float in and around the malt taste–so you don’t have much of a bite, more like a nice background bitterness. Excellent balance with the grains of the malt. Lingering sweetness. Mouthfeel: Smooth and creamy. Thicker than you might expect if you’re not used to German lagers. Try this if you like: Spaten Oktoberfestbier Ur-Marzen, Hofbrau Oktoberfest Bier. Definitely try if you’ve never had a real German Oktoberfest lager! Sorry for the lack of posts. I have been wholly unmotivated of late—and I’ve been drinking a lot of Summer Shandy, and I can’t write multiple reviews about the same beer. 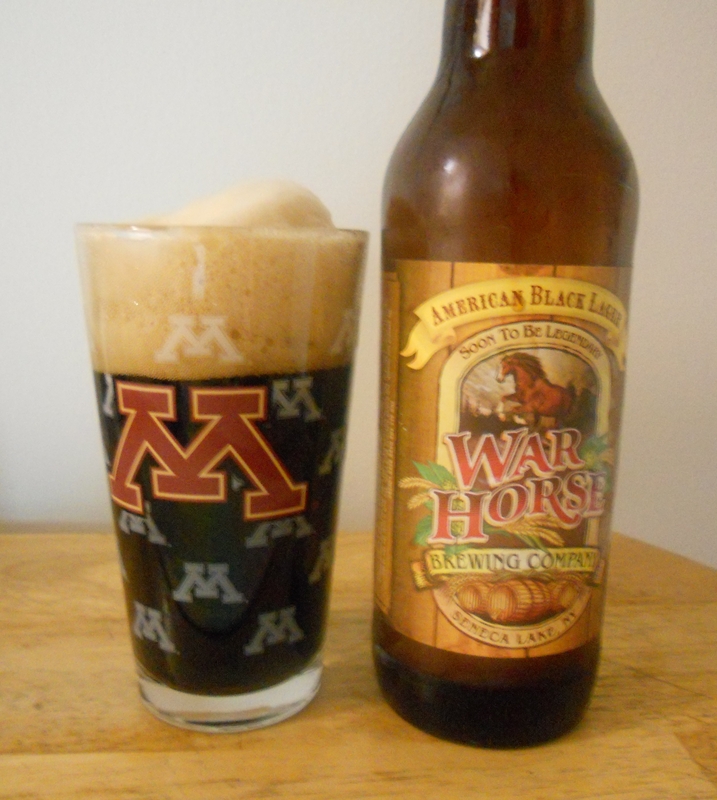 Tonight’s beer of choice is another one from the War Horse Brewing Company in Geneva, NY. I’ve already reviewed their excellent Riesling Ale, so it was time for another of their great beers. The American black lager is a creamy beer with a mild chocolate/espresso scent and a slightly hoppy, espresso-y taste. It is smoky like a stout–but with a clean, crisp finish because it’s a lager. Perfect for those of you who like dark beer but don’t always like the heaviness of most dark beers. It would even be great for curling up with around the campfire with some S’mores. Or perhaps I just want to go camping. Either way, this is a pretty decent beer. A friend of mine at work just got back from his honeymoon in Hawaii, and that reminded me that I picked up a beer from the Kona Brewing Company (this particular beer was semi-locally brewed in New Hampshire for the Hawaii based company.) 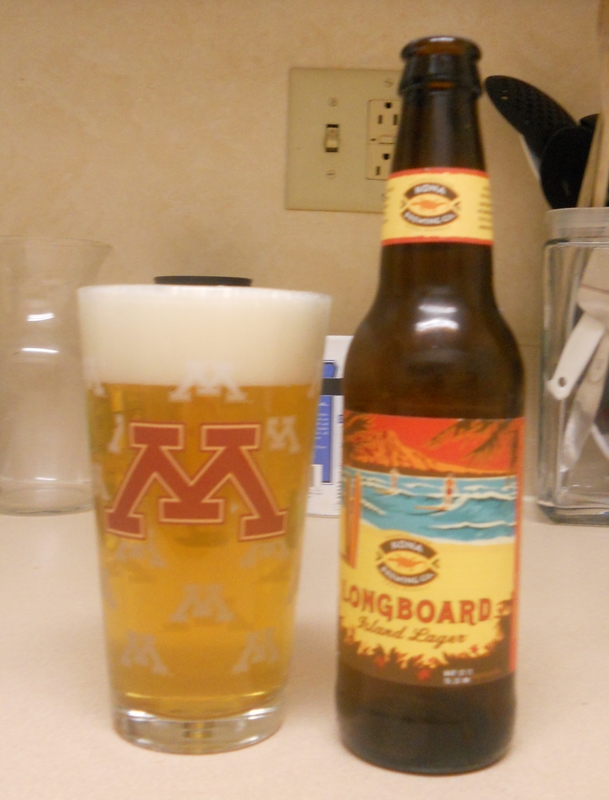 Today’s selection is their Longboard Island Lager. I sincerely hope this isn’t their best beer. In fact, I’m almost certain it’s not. 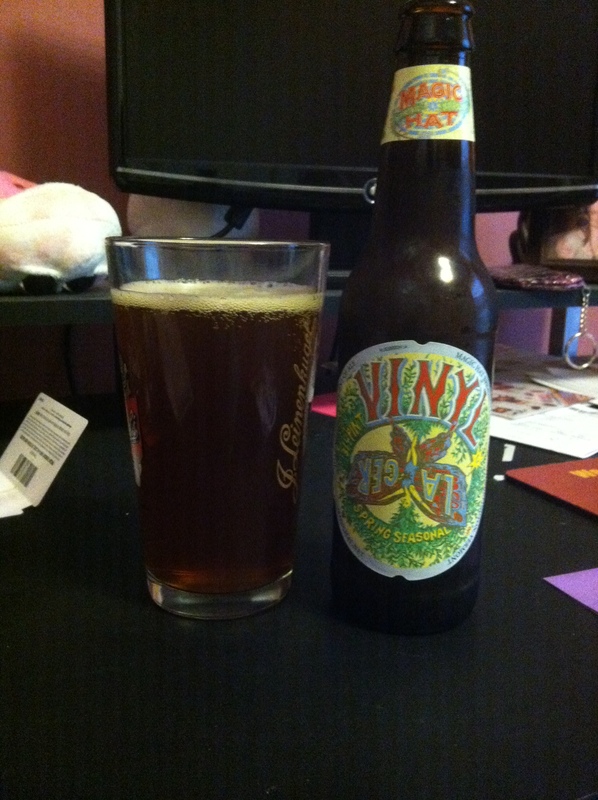 The aroma is mildly citrusy, and the taste is also slightly citrus. 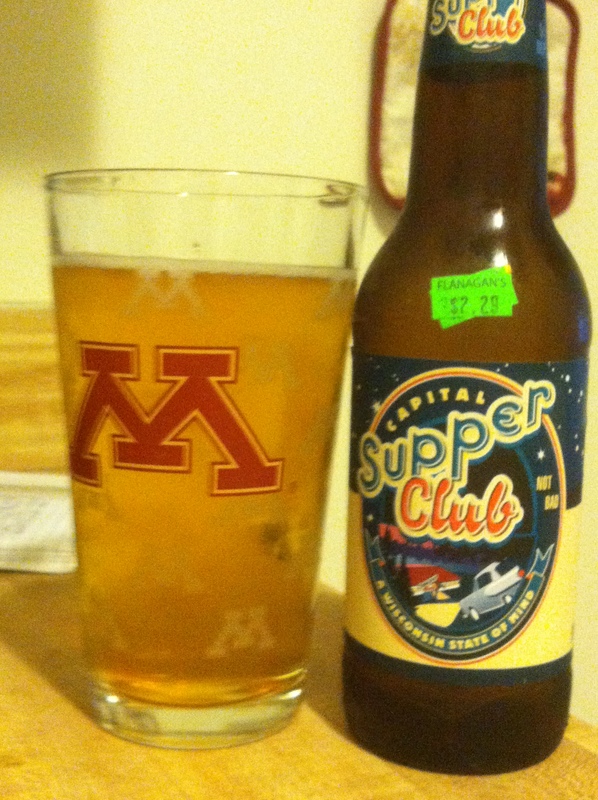 I don’t taste much of the malt or hops in this beer. My first thought was “generic lager,” and nothing I discovered upon drinking it made me change my mind. Don’t get me wrong. The Longboard Island Lager wasn’t a bad beer by any means. 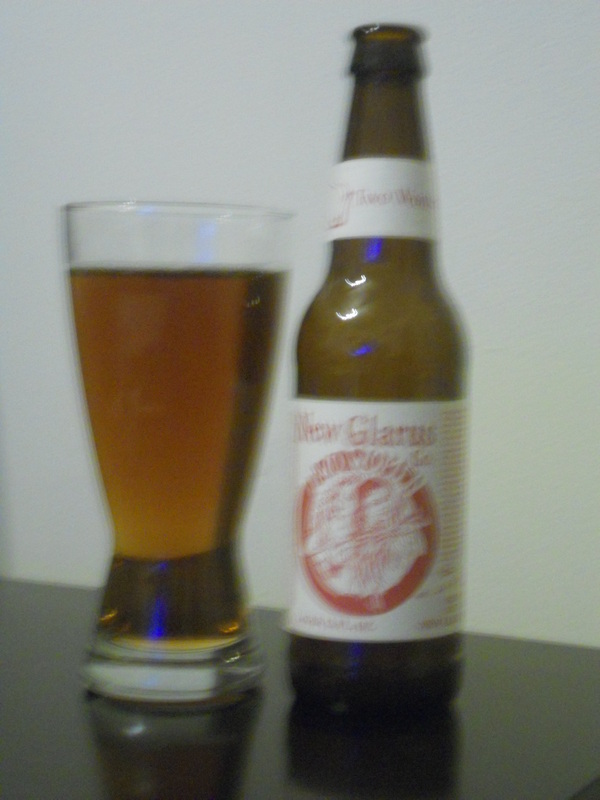 It had a clean, crisp mouthfeel, good head when poured, and tasted just fine. But I expected something a little more exciting from a company that claims “Our approach is to create complex, full tasting beers with a relaxed style and charm that expresses our Hawaii based roots.” I did not get the feel of the Hawaiian islands from this beer. Thankfully, Kona has five other beers that are distributed to select mainland states. The Wailua Wheat and Pipeline Porter look particularly interesting. 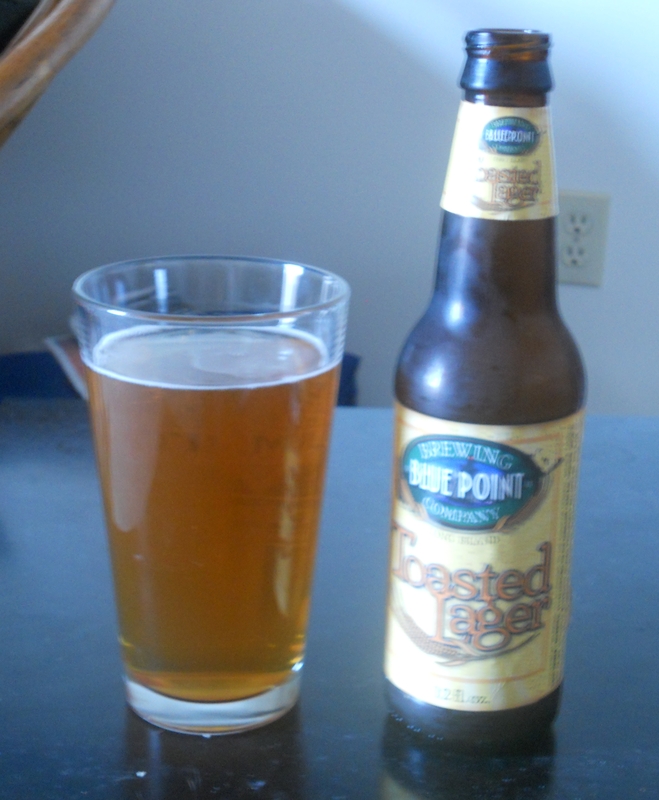 This is my first ever beer from the Blue Point Brewing Company in Long Island, and I have to say I’m impressed. I’ll have to seek out more from this brewery in the future. As I said, this is quite a good beer. Though I’m not sure where the “toasted” comes from. I didn’t get a taste of “toasted” anywhere, but no matter. Toasted Lager has a malty/hoppy aroma and a wheat/fruit initial taste followed by the taste of hops. The website describes it as having a “balanced flavor” between malt and hops, and I’d have to agree. Toasted Lager has much more flavor than your typical lager–it’s almost a blend of a mild IPA and a lager. There isn’t much of an aftertaste, another good point in my book. It lets you taste the beer again and again as you drink.